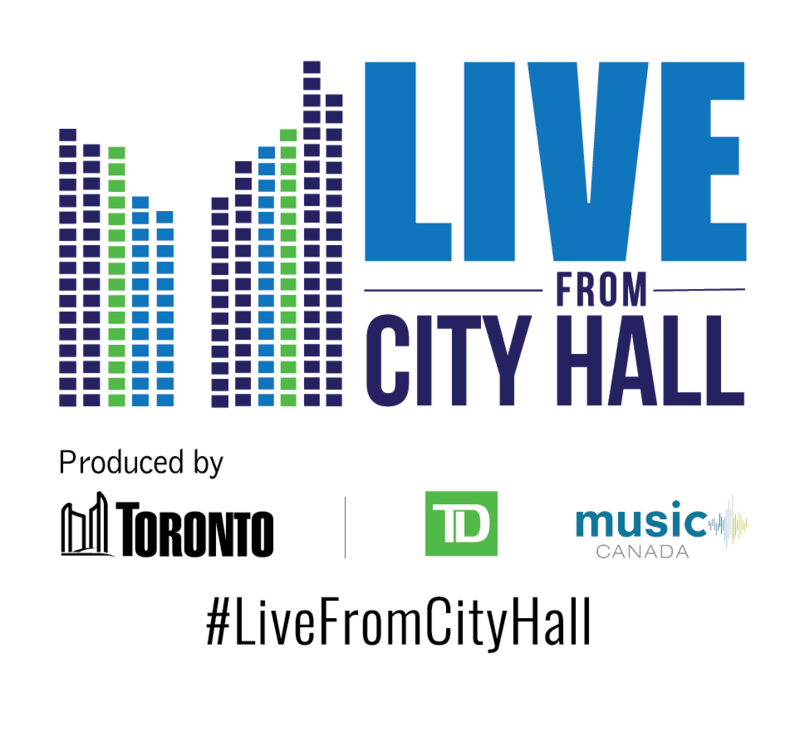 Following an exciting summer of free outdoor performances in Nathan Philips Square, Live From City Hall returns to the first floor rotunda this Thursday for another amazing season of music and informative panel discussions. 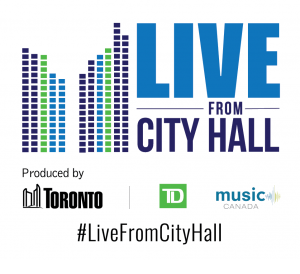 On Thursday October 27, Live From City Hall, presented by TD with support from Music Canada, will feature performances by alt country band Bryce Jardine and the Parlour Birds (5:00pm), and R&B/soul/jazz artist Bridgette Anderson (6 PM). 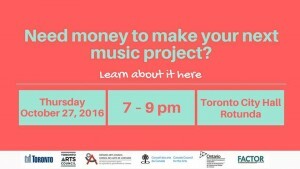 Following the show, the Toronto Music Advisory Council and Toronto Arts Council invites the city’s music community to stick around for “Meet the Funders,” a free panel discussion exploring funding opportunities for musicians, music producers, and others in the industry. 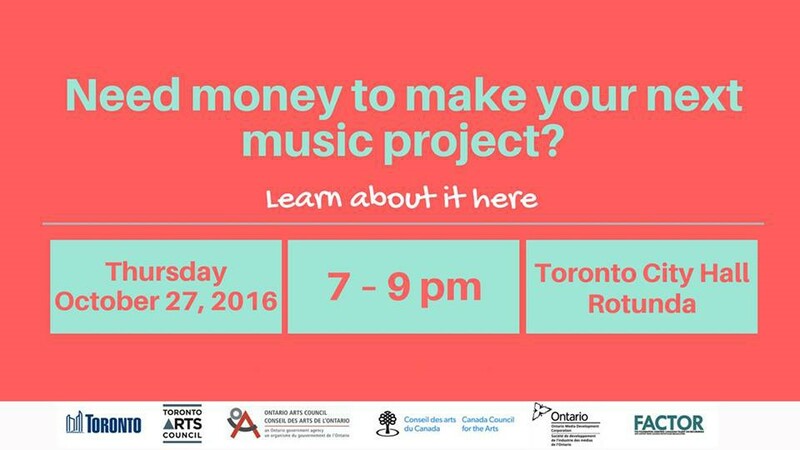 Along with Mike Tanner (Music Sector Development Officer, City of Toronto), the panel will feature guests from the Ontario Arts Council, Canada Council for the Arts, Ontario Media Development Corporation and FACTOR. A Q&A and group discussion will follow the panel at approximately 8:15pm. For those interested in attending the panel, it is encouraged you RSVP to taiwo@torontoartscouncil.org prior to the start of the performances. For more information, view the graphic below.